and Boiled Egg in Soy-Sauce. Have you tasted rice-balls before? 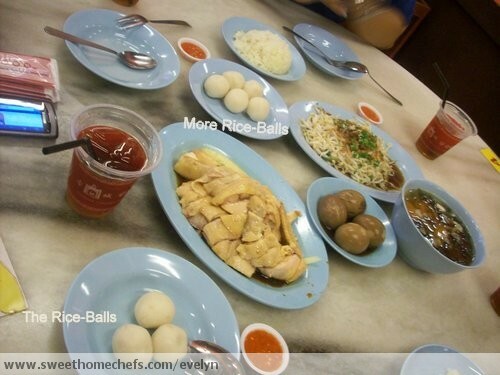 My first tasting was in Hoe Kee Restaurant - famous for its chicken rice-balls, which is located at Jonker Street, Malacca. It's just normal plain cooked rice - rolled compact into smooth round size of a golf ball. 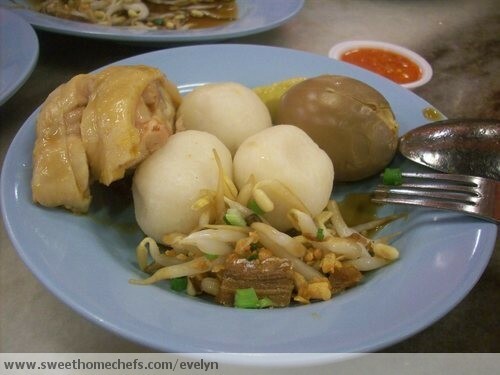 As the taste is plain, you would need other dishes to go together with the rice-balls for extra flavour. Of course, steamed-chicken is a must. 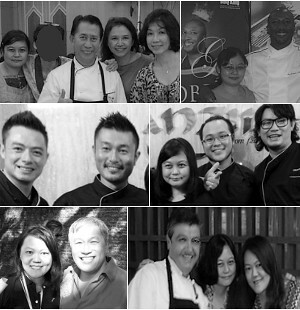 But it is definitely something that home-chefs can prepare and cook themselves at home. You can even 'tweak' the preparation of the rice-balls to your liking, if you are the adventurous type. Examples - adding a bit of other ingredients, herbs and/or spices in the rice - you'll have a more fragrant rice-balls or stuff fillings in the rice-balls like minced chicken, stir-fry mushrooms, etc. Many options.